MADISON, In. 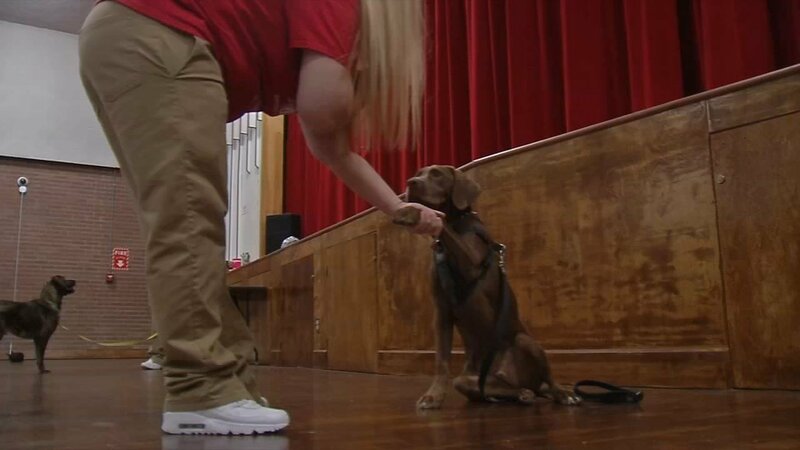 (WDRB) -- A Dog on Prison Turf is a program at the Madison Correctional Facility in Indiana that gives animals at risk of being euthanized the chance to be adopted. 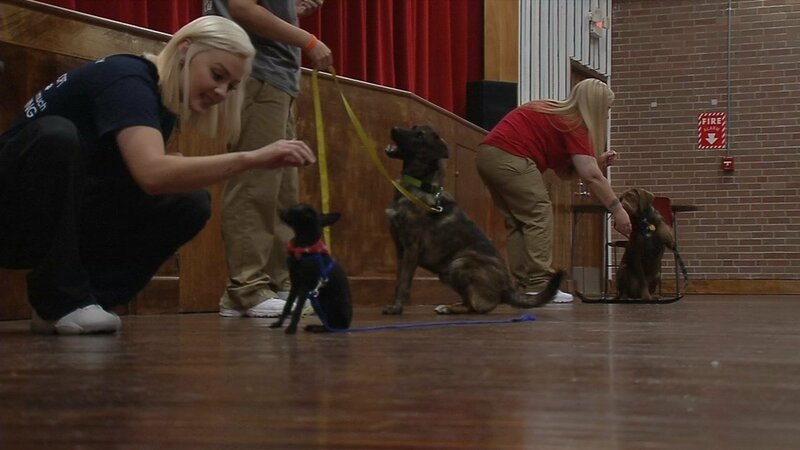 It's a second chance for pets and offenders. Just days after her 18th birthday, Irene Marks wound up in a women's prison. "I was mixed up in a lot of wrong things," said Marks. "I had a wonderful life in front of me." She was sentenced to three years behind bars. "Some days I was angry, some days I was sad, and I ultimately didn't know who I was," said Marks. She says it wasn't until she found the ADOPT program that she began to find herself. "Helping something that was more damaged than you were, it started to change me," said Marks. ADOPT stands for "A Dog on Prison Turf." The program at the Madison Correctional Facility in Indiana takes in dogs and cats with behavior problems, that would otherwise be euthanized. The offenders and the animals were each facing isolation and rejection, and are now giving each other hope. "I just never thought that in a million years that I could be at my bottom and find something that made me so happy," said Marks. About 40 women participate in the program, which began a few years ago. They're matched with an animal who then lives with them in their bunks. The inmates are responsible for their care, including feeding, grooming, housebreaking and obedience training. "It teaches us discipline," said Amy Whitaker who has been incarcerated for nearly 17 years. She and her fellow offenders find a renewed sense of purpose through working with the animals and skills that can help them succeed when they're released. "I already have the felonies holding me back no matter what, so people will judge me for that, so all I can do is build the resume to prove I have to work harder than other people have to to get a job," said Whitaker. The prison program means a warm place to sleep, lots of love and a big yard with plenty of space for the pups, like six-month-old Shaggy. He was born behind the prison walls after his mother was taken in. "I was in the room when she gave birth, and we've been together ever since," said Leah Moss, who takes care of Shaggy. "This program means everything to most of us. We get a chance to do for the dogs what we wish people could do for us." This is Moss' fifth time locked up. She believes this time will be different in part because of the ADOPT program. "Now that I've been with the dogs and I've had a sense of giving and turning things around, it's brought into perspective how I need to turn my own life around," said Moss. After a few months of around-the-clock care, soon Shaggy will find his forever home, which can be the hardest, but also the most rewarding part of the program. "It's sad, but at the same time it's just awesome because you know they're going to a good home. You know they're going to someone who cares for them and loves them," said Moss. Irene Marks will also be going home soon. She expects to finish cosmetology training soon, which will qualify her for immediate release. She's ready for her second chance. "I couldn't be more thankful for this opportunity," said Marks. "I needed this." The ADOPT program will host an adoption fair on Saturday, July 28 from 11 a.m. to 2 p.m. at the Tractor Supply in Madison. Click here for a look at the pets that will be available for adoption.